I am hooking up with Classroom Freebies for Manic Monday. 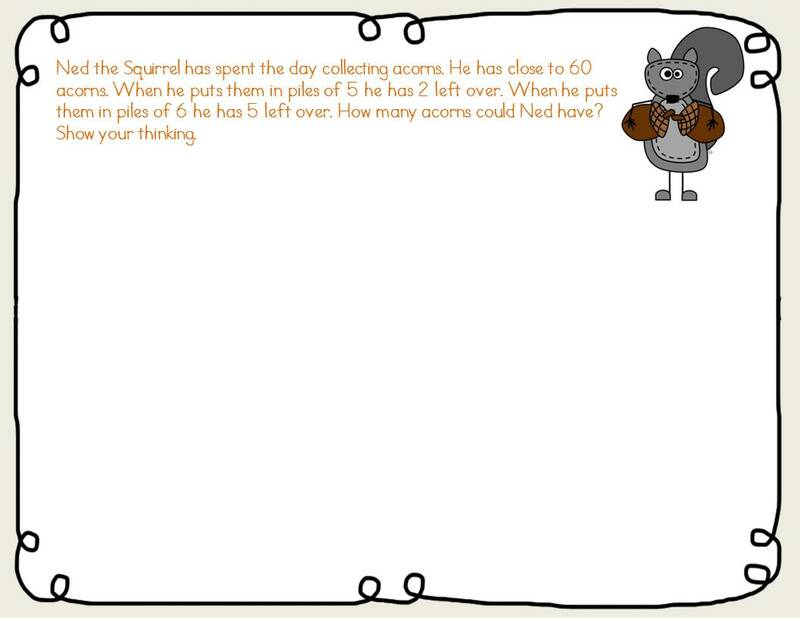 I am sharing this little selection of math problem solving pages. There are two types of problems that no matter how many times we try them a couple of kiddos still need practice. Click here for a copy. There are 4 problems - 2 to practice each of the two strategies. One set involves using multiples to find the answer. Example: There are close to 40 cookies. If put in groups of 4 there are 2 extra if put in groups of 8 there are 6 extra. How many cookies are there? I have my kids write out the multiples of 4 in one row and then the multiples of 8 in another row. Then look for numbers that are close to 40 that when you add the extras you get the same amount. The other set uses subtraction, division and addition. Example: There are 45 shapes. There are 7 more squares than circles. How many squares and how many circles. If you like the squirrel clipart check out Ashley Hughes' store at TpT. 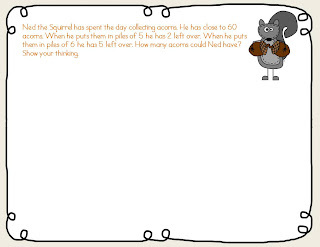 If you want more math resources featuring the squirrel check out my graphing unit at my TpT store!. 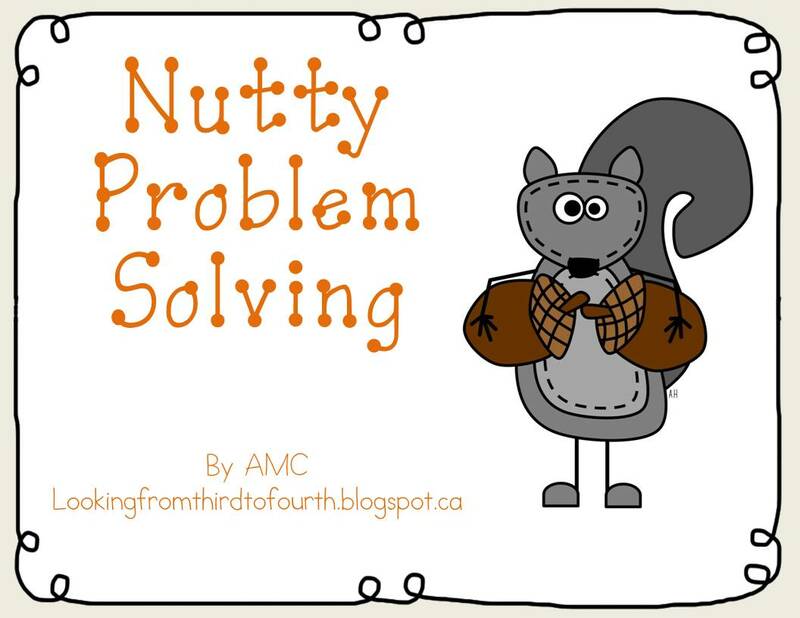 If you are in the mood to read how I started my graphing unit last week with an inquiry lesson check out my guest blog over at Lessons from the Middle. Also, if you have not entered Tonya's fantastic 700 followers giveaway you need to head over there and enter - the prizes are amazing but the real prize is her blog - she always shares so much! Another great giveaway to check out is taking place over at Teaching and Tapas. You can enter the Grade 4/5 part of the giveaway right here but really need to check out her blog - this giveaway is crazy huge! Your freebie is cute. Thank you for sharing. Cute freebie! Thanks for sharing! Love your blog design too!